There are currently 1 user and 161 guests online. In this adventure you have frisbee and you uhh, are outside. 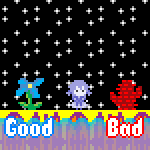 It's a really interactive adventure and like you talk to some guy who talks in a certain hue. I can't give much away because it would be spoilery, but you shuldn't spend too much time with this one.. Includes rotoscope, voice acting, a stellar soundtrack with one song that probably won't loop before you're done with the game, multiple endings, and lack of a title screen/menu, though i think you might be able to save/load but for what reason? oh yeah there's a log viewer, like 3 or 4 different characters. The tags give too much spoiler already so i'm being soo vague here. ENJOY and this game is ERI eXtree/\/\. edit: I just realized I entered this into the default latest contest and it's "off topic" if that's even possible. If there are no objections of this qwop adventure I'll keep it the way it is and everyone enjoy the power of novelty. 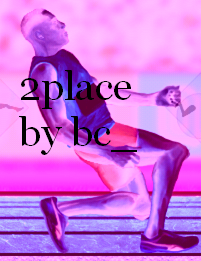 Is "2place" even a generated name? They're usually 3 words long at least. Yeah I know when making this game I accidently submitted it to this event. Don't worry I fixed it to a name that is more in tune with the adventure.